Georgia escaped inmates: Who gets the $130,000 reward? So who gets that reward? With the intense manhunt for two escaped Georgia inmates now over, who gets the reward money? 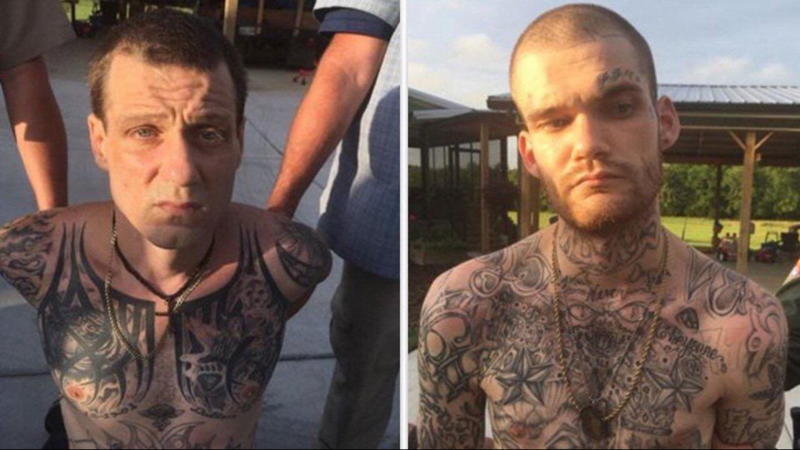 Ricky Dubose and Donnie Rowe were captured Thursday night in Rutherford County, Tenn. after more than two days on the run. The two are accused of killing two Georgia corrections officers on a prison transport bus and then escaping. As the search for the inmates grew, so did the reward money being offered for information leading to their arrest. The reward was at $130,000 at the time of the arrest. The reward was a combination of money offered by numerous agencies. Is it the couple who called 911 and gave police the description of the stolen vehicle? Or is it someone else who may have provided police with information that put authorities in Tennessee on alert? "Georgia Bureau of Investigation spokesperson Nelly Miles addressed the issued on Friday, saying "As the investigation into prison inmates Ricky Dubose and Donnie Rowe continues, information has revealed that the bravery of Tennessee civilians contributed to the apprehension of both inmates. The reward will be dispersed at the appropriate time. As there were several aspects involved in their apprehension, law enforcement will continue to review them and determine how it will be dispersed." A photo shared by law enforcement shows Donnie Rowe (left) and Ricky Dubose (right) after their capture in Tenn. on Thursday. Ricky Dubose made his first court appearance on June 16, 2017. Curtis Billue is one of the correctional officers killed. Christopher Monica is one of the correctional officers killed. The scene where the inmates were captured. The scene where the inmates escaped and two corrections officers were killed on June 13, 2017.